PDF digital book – NO shipping. After purchasing, you will download this item to view it. That means it is not a book made of paper. © 01 January 2013, John Hogue, All rights reserved. 65,282 words, 177 pages, 42 color photos, graphics. Published by HogueProphecy Publishing. Do you remember 2012? What a year that was! We all lived it a very long while ago. Not just a few weeks ago when 2013 dawned. Way back over a dozen years ago when 2012 really happened, the quickening of history and the fever of climate change began. 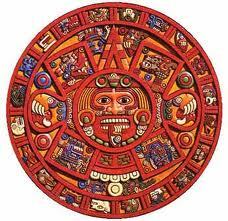 In 2013, we are well into the death and renewal of ages. The 2012 winter solstice came and went. 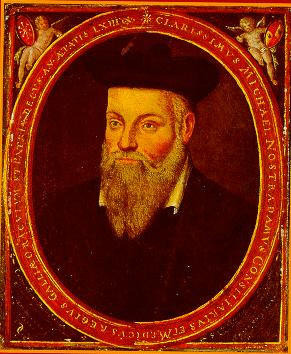 All those silly fools who wrote 3,000 books about that have overlooked the real year that was “2012” and Nostradamus’ direct connection to it. The Post-Mayan Apocalypse has come! 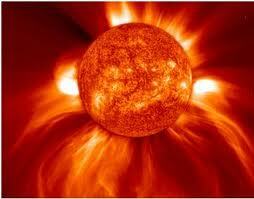 Time to sort out the “Great Went” of another apocalypse doom or bloomsday that fizzled. 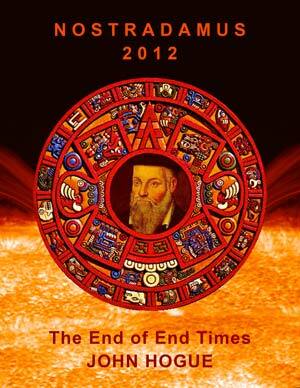 In this PDF and fully illustrated version of this e-Book, I will take you back to the future, dispelling 25 years of doom and bloomsday myth so that what Nostradamus and the Mayan prophecies actually intended can have a last word in this aftermath of popular obsession with the Mayan Calendar shifting in 21 December 2012 set to anticipate a change of ages. Gone then, are cosmically required dates to grow up. I will also share a secret that can help one celebrate and live each moment galactically aligned and harmonically converged, ever NOW. No date on a calendar or galactic line up, required. This book is my LAST WORD on 2012 and FIRST WORD on the many other significant and ongoing reboots of prophetic time cycles that fixation on 2012 overlooked and neglected. 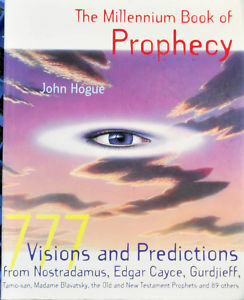 It also reveals reveals Nostradamus’ unique association with Mayan Prophecy that has yet to be understood or covered by any 2012 or End-Time related books written so far. It is the “afterward.” Wake up from dreams and see prophecy’s reality. Are We Going Chicken Little’s Way? Remarkable Men with a Meeting? Lost Dog-Eared Prophecy Book Found? A Work of Father Prophet Envy? From iPhone, to iPad, to iEnd Time? The End of End Time? Too Chicken Little Too Late? I have in stock seven first edition titles of my rare printed books. Along with two e-Books, one of these be your personally autographed and addressed gift for a gift donation of $100 apiece (if living inside the US) or $120 (if living outside the US). For those Kiwis and Kuala Bears living in far off New Zealand and Australia, shipping requires a donation of $130 for each book. I enjoyed listening to you on coast to coast with George Noory ( every morning) this morning Aug 6,2014. I live Toronto, Canada, I would like like to know what is the donation for? 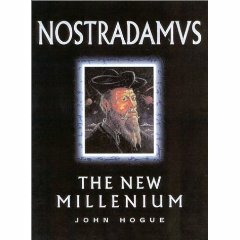 I am also a fan of Nostradamus. 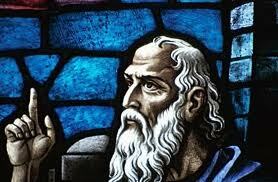 I have already read quite a few books about him and his predictions…since I am able to read old French. many conflicting answers, but I know someone must have an answer that makes sense. given, why wouldn’t the year of his sencond coming also have been given? Matt. 24:36 say’s that no man would know a day or an hour, but it says nothing about a year. happens at the very end, giving a scene right out of II Thessalonians on the second coming. 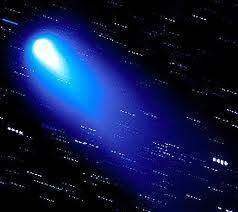 Please leave your comments, or visit FinalTimeProphecy.Com where this prophecy is, I believe, well explained. Do you also have a hardcover book as my computer is small anyway would love to have a hardcovr book personnally, thanks. Love and Light. Hi, Jackie. There’s no hardcovers or dead tree books for me now. The printing industry went “dinosaur” on me in 2003. Not how I would have wanted it, but then, what to do. Every 500 years or so, the vector for information changes. The drawn and hand scribbled books 500 years ago had to surrender to the printing press. Now, the printer press folk subside before the CD and the electronic vector for communication. I suggest you get a computer that can facilitate your reading books riding on photons and electrons. I have since written 11 eBooks after 2003 when the dead tree book industry abandoned me. I have followed you for over 20 years. I am also a student of Edgar Cayce. I have been blessed with the vision of prophecy as well. I have seen many things, natural diasters mostly. It has always bothered me that Edgar Cayce predicted all his Earth Changes to take place starting in 1998. According to the future maps of the US with the east and west coast under water and the Mississippi floading the center of the US, these events as of today have not occurred. 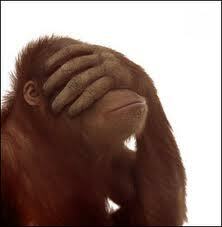 Is it possible that Edgar Cayce was seeing 2012 rather than 1998, similar to your chapter 7? With this huge unprecedented storn hitting the east coast, my intuition is telling me that now is the time all these events that have been “seen” by myself included starts now, with the Full Moon in Taurus (Earth).